2016: 5 races 88,485 metres completed. 2014: 2 races 43,090 metres completed. 2013: 15 races 60,906 metres completed. 2012: 5 races 87,014 metres completed. 2011: 10 races 249,945 metres completed. 2010: 12 races 108,836 metres completed. 2009: 13 races 168,796 metres completed. 2008: 13 races 144,678 metres completed. 2007: 11 races 72,353 metres completed. 2006: 8 races 98,699 metres completed. 2005: 14 races 124,680 metres completed. 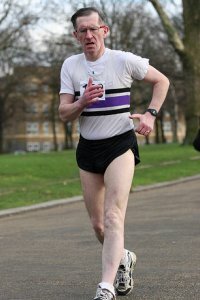 2004: 1 race 50,000 metres completed.